I recently heard someone say that they don't like Ikea and wouldn't use it in their home. Now, understandably Ikea can lack the quality and finish of high end furnishings, and needing to assemble furniture with unfortunate picture directions and piles of nuts and bolts is no one's idea of fun, however the price and flexibility of this big box store are pretty unrivaled. They also have some pretty great "basics" such as frames, pillow inserts, and decor items that can be added to any space. 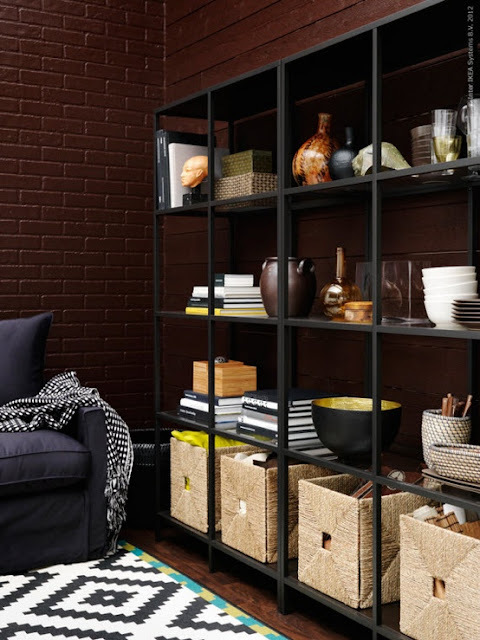 To go right with Ikea it's all in the construction of the piece, the selection of the product and the creativity in how you style it that makes Ikea a cult fav. I recently scored some great pieces in the clearance section at Ikea that I will show you soon, but in the mean time I'll show you some of the amazing ways that Ikea has been used and modified in other people's homes that in my opinion set the Ikea haters to rest. It's not that I don't value an opinion, but hey I love me some Ikea and I think other people should too! Take a look at some of these AMAZING spaces styled with Ikea. Ikea Akurum cabinets with high gloss Abstract doors from Made By Girl. One of my favorites! I could see this in my own home. Jen from Organized Design took an Ikea bed frame and made her own headboard then upholstered both to match. LOVE! Her blog has a step by step on how to. A Liuttle Bit of Everything took a very affordable Erslev rug from Ikea for only $40 and hand painted it in to this beautiful Moroccan beauty! 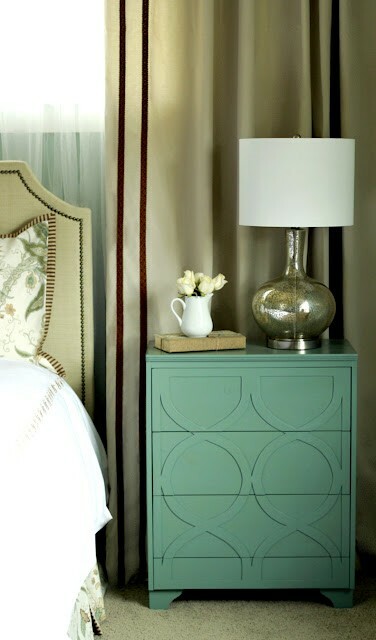 Check out this RAST night stand from Ikea which start as a raw wood for only $30 and was transformed into this. You can see the step by step from the Craft Sisters . Pretty amazing. 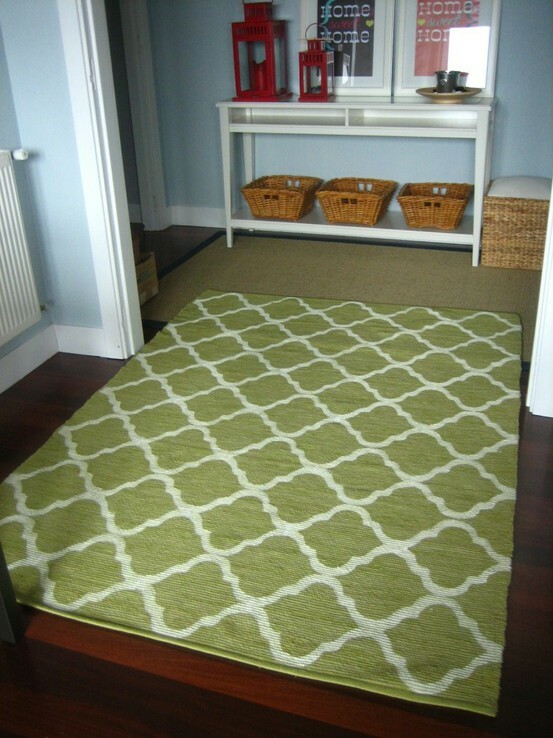 I absolutely ADORE the styling of these Ikea Expedit shelves, the Ikea RIBBA frames and the Ikea rug. The light airy colors are perfection. Source unknown. 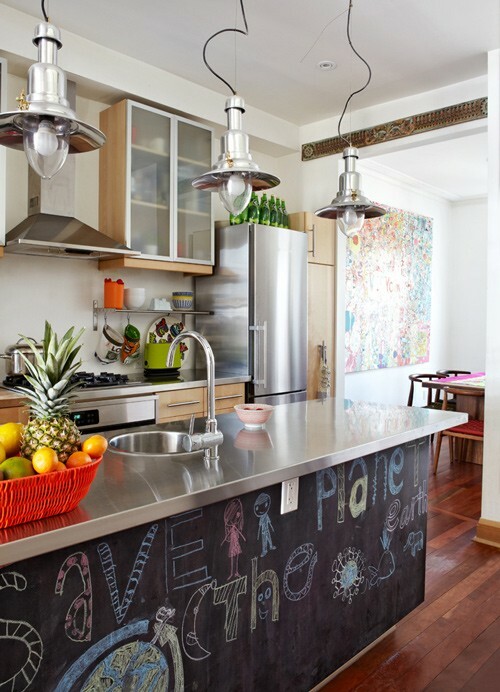 I LOVE THIS IKEA KITCHEN!! The cabinets, counter tops and pendants are all Ikea. In a kitchen, if you have a good cabinet installer Ikea can be a very affordable option. They have a large variety of styles and finishes, and can hold up to the other budget Chinese cabinets that are available. I love the chalk board paint on the island here, so clever. Source unknown. 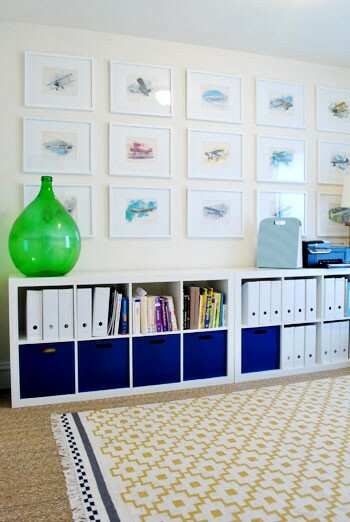 Here is an office with painted Ikea Expedit turned book shelves. It gives these basic shelves such a high end look. Source unknown. 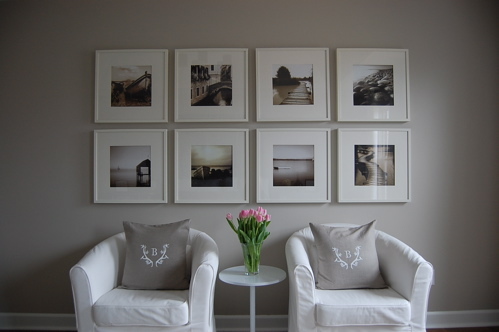 I love this cozy sitting area with the Ikea RIBBA frames and the Ikea Ektorp Tullsta chairs. I would love to sit and have my coffee here. 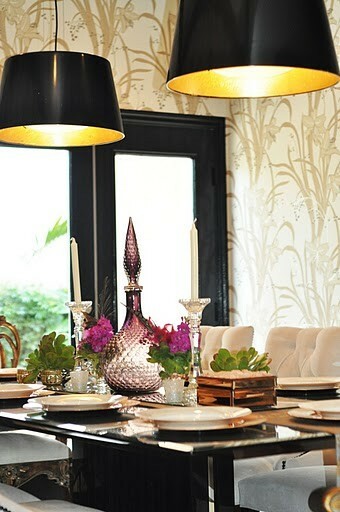 Can you believe this dining room with 2 gold leafed Ikea Kulla pendants from Haute Khuuture ? Check out her tutorial, and possibly beef up your own Kulla lights. 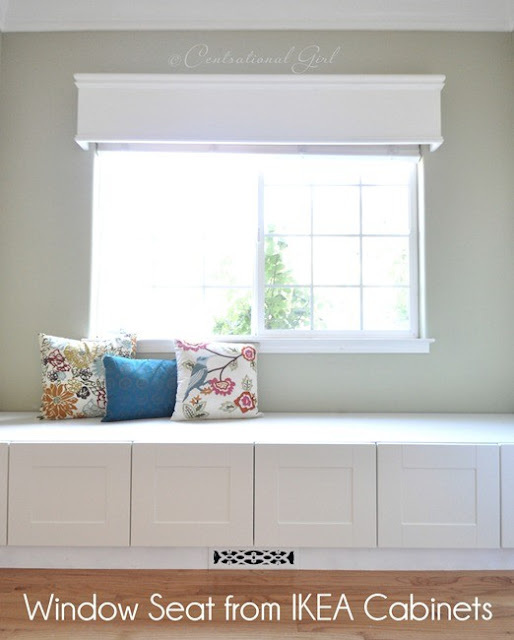 Here, Centsational Girl took some Ikea kitchen cabinets and turned them in to a window bench. How amazing are these?!!! Here are some staged Ikea Vittsjo shelving units that are just beautifully done. I could see this as a library option, in a dining room, or as a beautiful statement in a living room as you see it here. 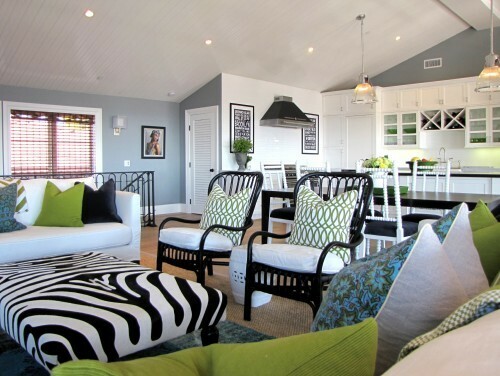 Here are 2 Ikea Storsele chairs in black mixed in to this airy and pattern filled living room. They are a stunning addition to this room, and for only $119 each they are a unique bargain find. Source unknown. Here is a perfectly poised and organized office with Ikea Expedit and the Ikea Alex drawer unit. 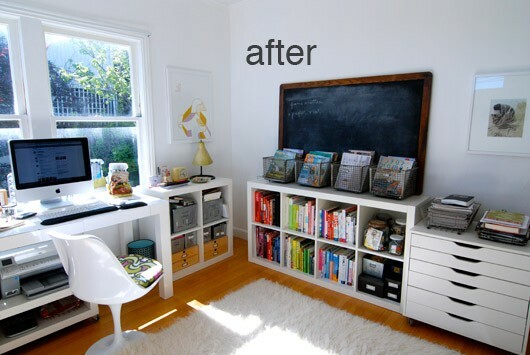 I can only dream of so much perfectly organized office space in my own home. 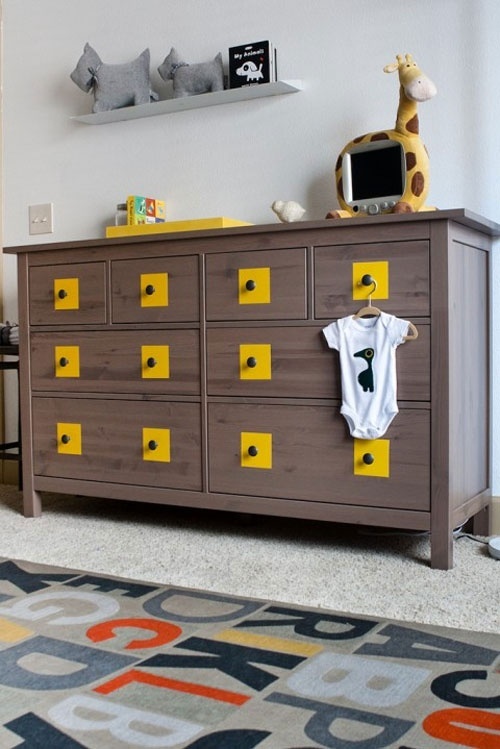 Here is the most adorable Ikea Hemnes dresser in a little boy's room with the smallest yellow paint addition proving that small touches go a long way. 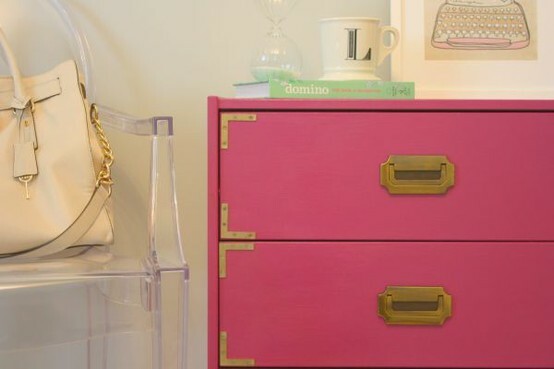 Here is another Ikea RAST night stand turned campaign chest. This is definitely a WOW moment that I would take on if I had the energy. My point here is that Ikea rocks! I never rule it out as an option and have used it in probably every single project I've done. Let me take that back, in one way or another in every project I've done including the high end ones I have used Ikea. For budget projects it is a great resource for getting the look for a minimal cost, and as I said before the basics that they have in a large plentiful supply are better priced than the next guy. What do you think of Ikea? Is it something you can't get enough of or are you on the other side of the fence?